BRIDGETOWN, Barbados (CMC) — Several countries in the northeastern Caribbean were rocked by a 5.2-magnitude earthquake this morning. The quake, which struck at around 11:12 am (local) time, was centred about 22 kilometres north-northeast off the island of St Barth. 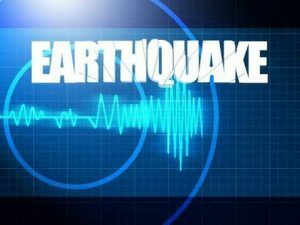 The Trinidad based Seismic Research Unit at the University of the West Indies (UWI) said the earthquake had a depth of 74.5 kilometres. It was also felt in St Martin, Anguilla, St Kitts Nevis, Antigua and Barbuda, the US Virgin Islands, the British Virgin Islands, Guadeloupe and Puerto Rico. Basseterre, St. Kitts – An earthquake with a magnitude of 5.8 rocked St Kitts and Nevis Sunday morning, but there are no reports of injuries or damage. The Trinidad-based Seismic Research Unit says the 5.8 tremor was recorded at 11:12 am (local time) at a latitude of 18.23N, longitude of 62.81 W at depth of 68 km. The centre of the quake was located 103 km N of Basseterre, Saint Kitts and Nevis, 163 km NW of Saint John’s, Antigua and Barbuda and 261 km NW of Point-à-Pitre, Guadeloupe. The earthquake measured 5.2 off the coast of St. Maarten/St. Martin and St. Barths. According to 721 News the epicentre was located at 18.1N62.8 W or about 14 miles East of Philipsburg, St. Maarten; 17 miles East of Marigot, St. Martin or about 12 miles north of Gustavia, St. Barths. The area that ruptures during the earthquake. The amount of displacement during the earthquake. The stiffness of the rocks that break. “When we multiply these numbers, we obtain a number called the seismic moment. 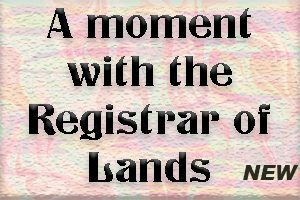 The seismic moment is then converted into another number called the moment magnitude (or simply magnitude). In our region, we use the duration of the earthquake recording, and the distance of the recording station from the hypocentre to find magnitude e.g. magnitude 5.8. For any given earthquake, the magnitude is a fixed number that does not vary regardless of which island you are located,” it says on its website. “Intensity scales describe the severity of an earthquake by grading the effects on people, structures and geological formations. Each degree of intensity is described by a Roman numeral, (I, II, III etc.) and the effects of the earthquake roughly double in severity for each one-division increase in intensity. In the Western hemisphere, including the Eastern Caribbean, the most widely used scale is called the Modified Mercalli or MM scale. In the rest of the world an almost identical scale called the MSK scale is more common. For any given earthquake, the Intensity may vary depending where you are in relation to the earthquake’s epicentre,” it added. We are being "monitored" for a possible watch box in the next hour or two. The storms we have talked about could develop by 6pm out in western areas. Once again...coverage will be fairly LOW but the intensity will be HIGH.